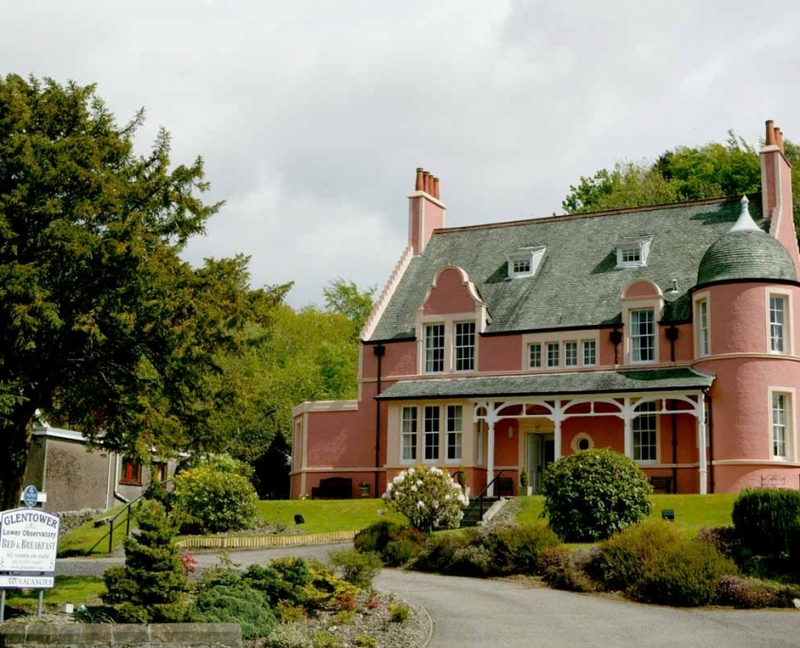 Glentower Lower Observatory is a well established Guest House in Fort William offering luxury accommodation to visitors to the Fort William and Ben Nevis area. Majestically placed on the shores of Loch Linnhe Glentower Lower Observatory has stunning views of Loch Linnhe & the Ardgour Hills.The Centre of Town is only a walk away. If you are planning a visit to the Highlands, Fort William is very central for touring and sight seeing in all directions of the compass. Give yourself a break and make the most of your holiday or vacation by staying with us for a few days…. Who wants to unpack and repack every day when you’re supposed to be enjoying yourself? 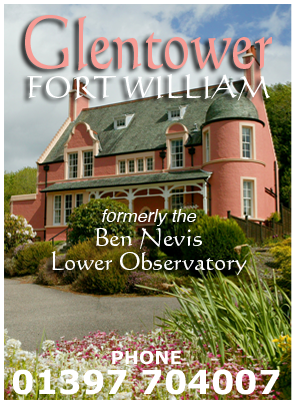 Please explore our website and enjoy the information & unique history of Glentower Lower Observatory and links we provide for your interest. If you would like to make a reservation or enquiry, we have provided a simple enquiry/booking form which you can email us. We guarantee a quick reply & look forward to you staying with us.